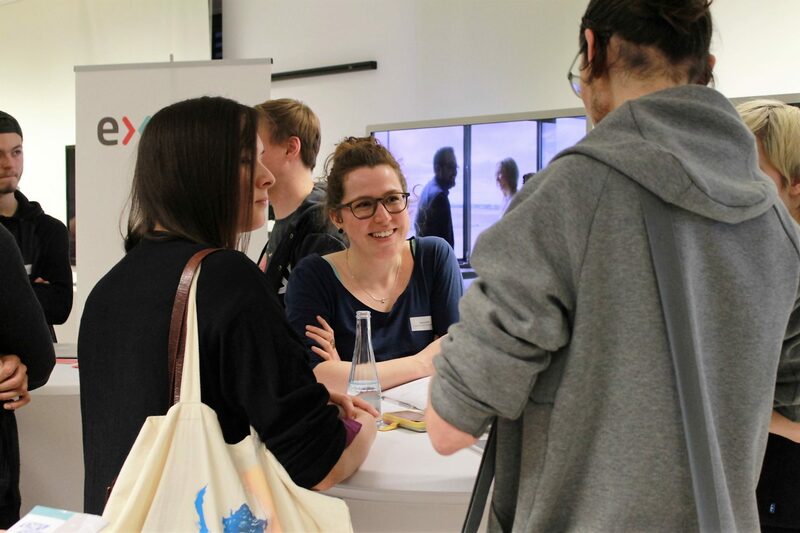 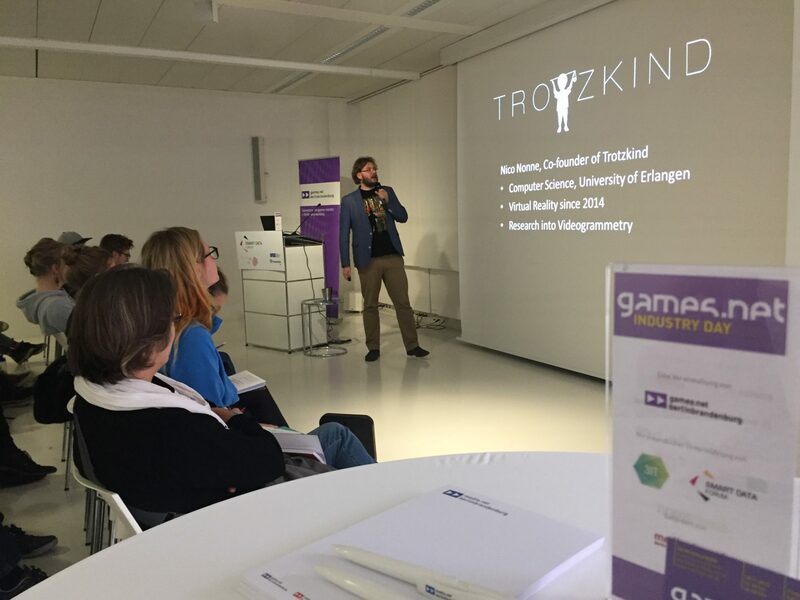 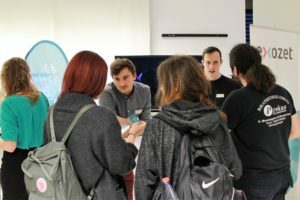 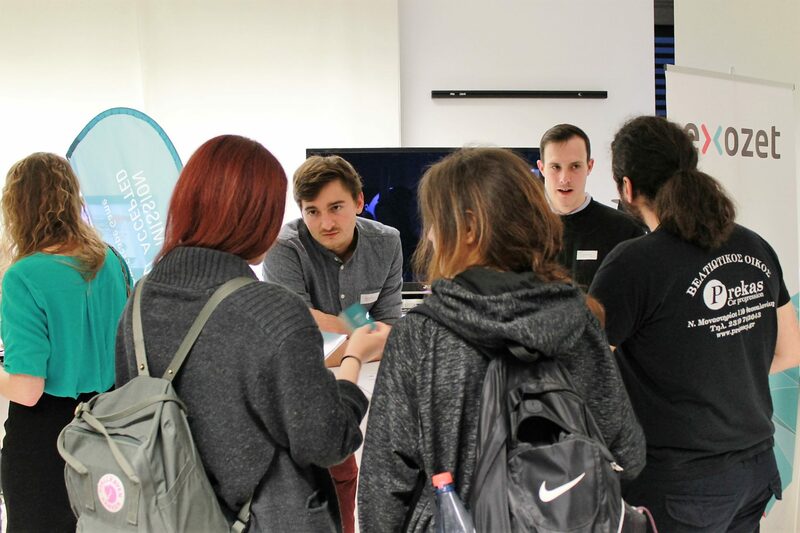 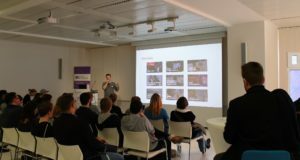 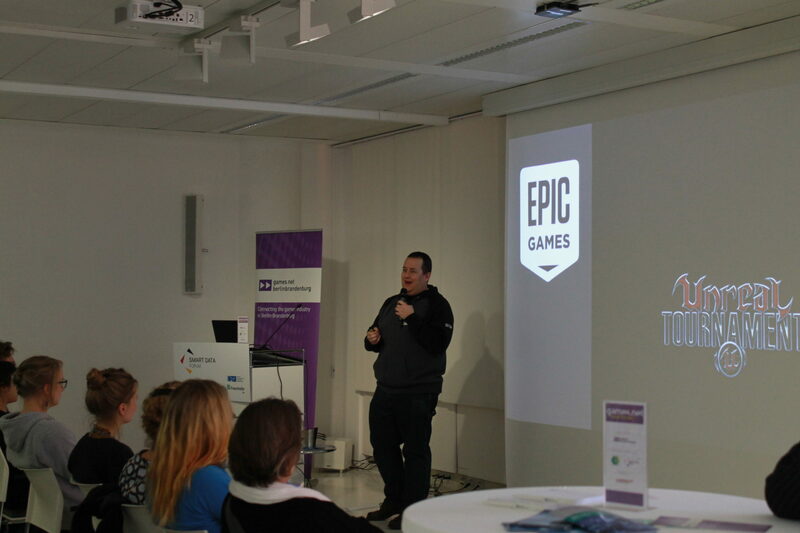 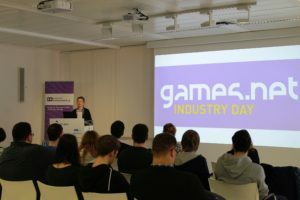 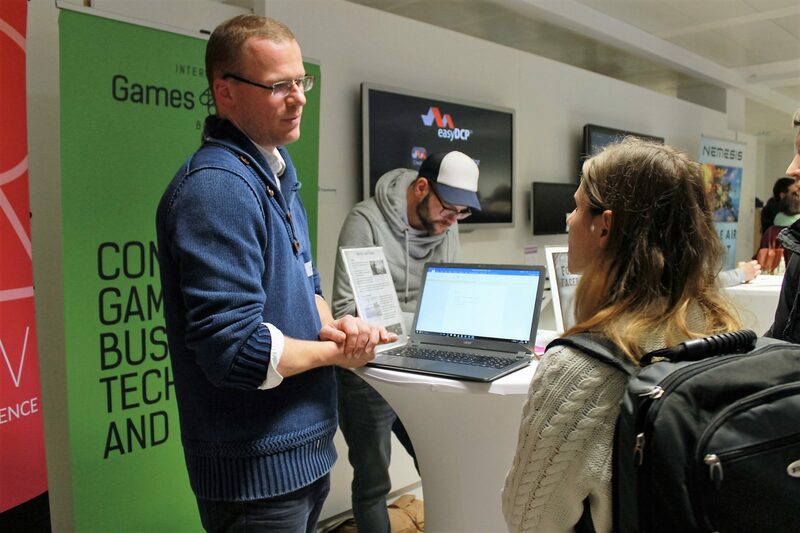 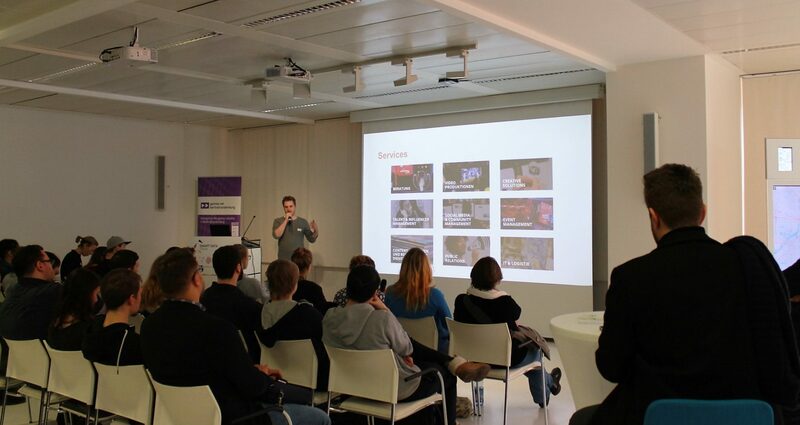 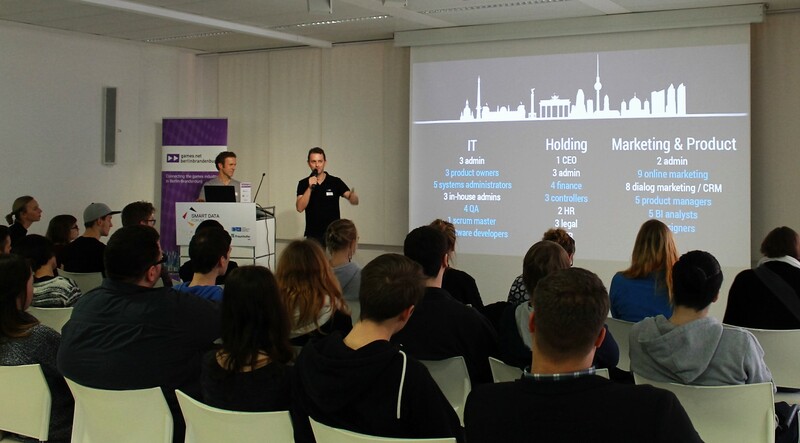 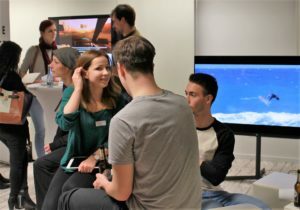 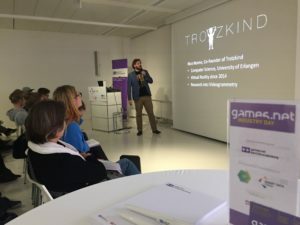 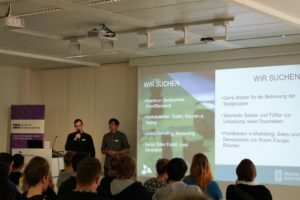 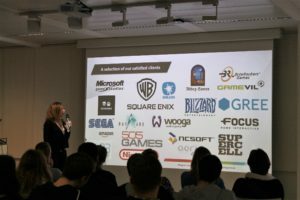 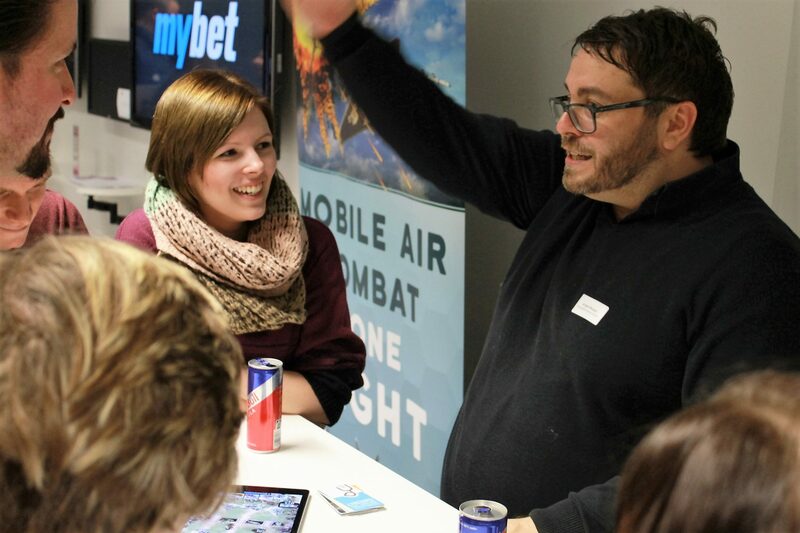 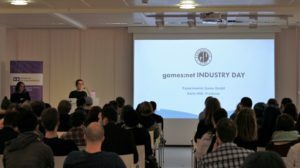 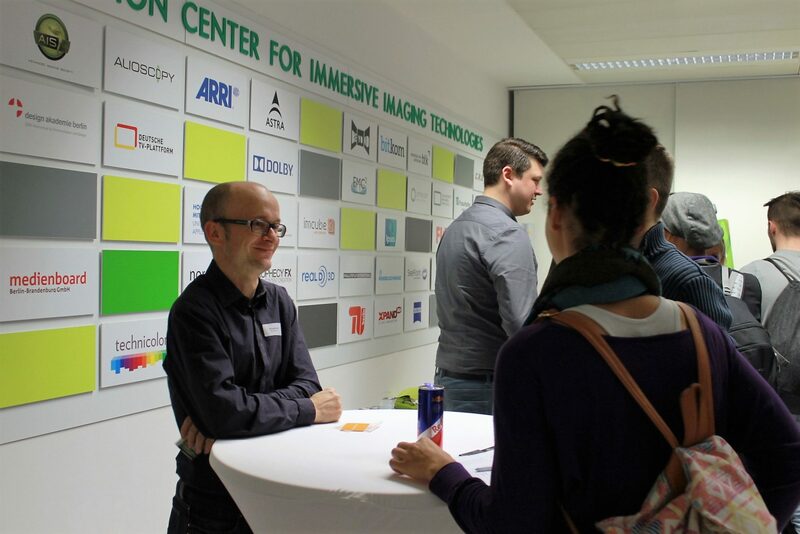 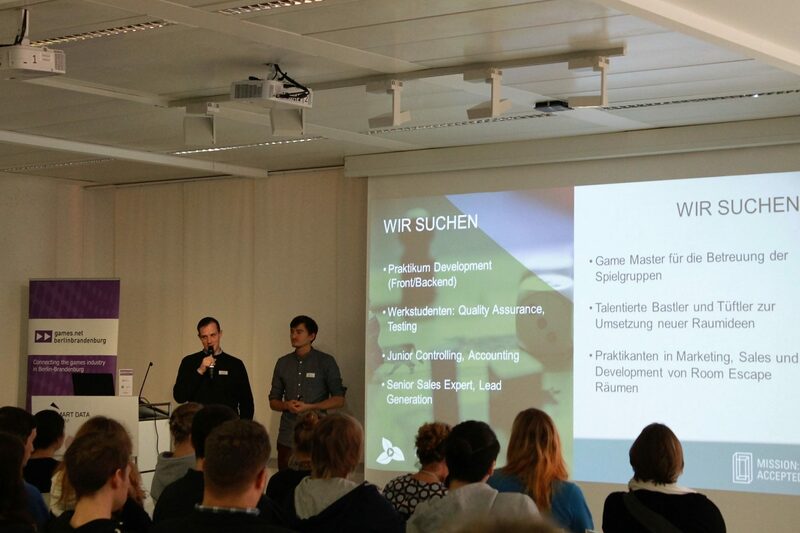 On the afternoon of November 11th games:net brought together 160 guests from Berlin-Brandenburg's game scene for games:net INDUSTRY DAY, the game business recruitment event in the capital region. 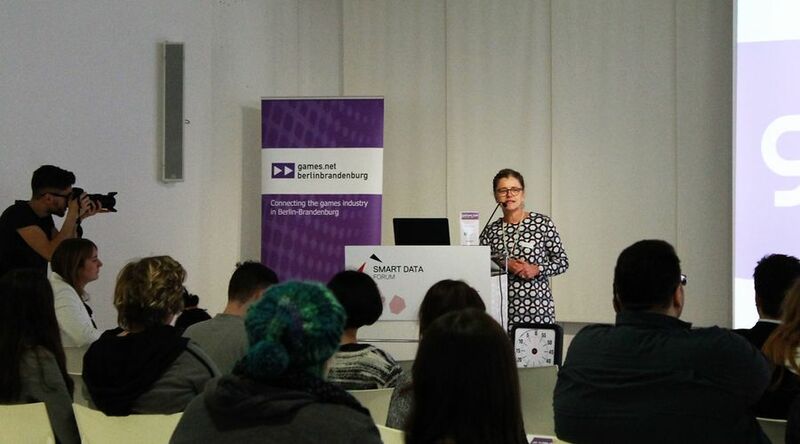 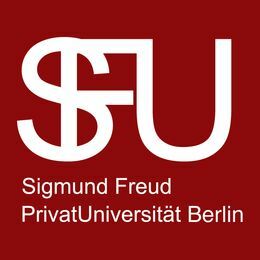 In the Data Forum of Fraunhofer HHI Andrea Peters (media:net berlinbrandenburg e.V. ), Steffen Krach (State Secretary for Science and Research), Katrin Dröse (Medienboard Berlin-Brandenburg) and our hosts of Fraunhofer HHI, Antje Nestler (Data Forum) as well as Carina Choo (3IT) welcomed the guests and attending companies: Altagram, Booster Space, Epic Games, Experimental Game, Exozet, Kunst-stoff, Freaks4U, Pfeffermind, MyBet, MiriquidiFilm, Stratosphere Games and Trotzkind. 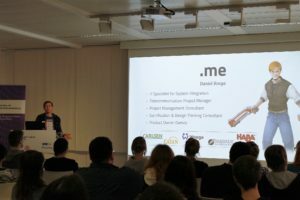 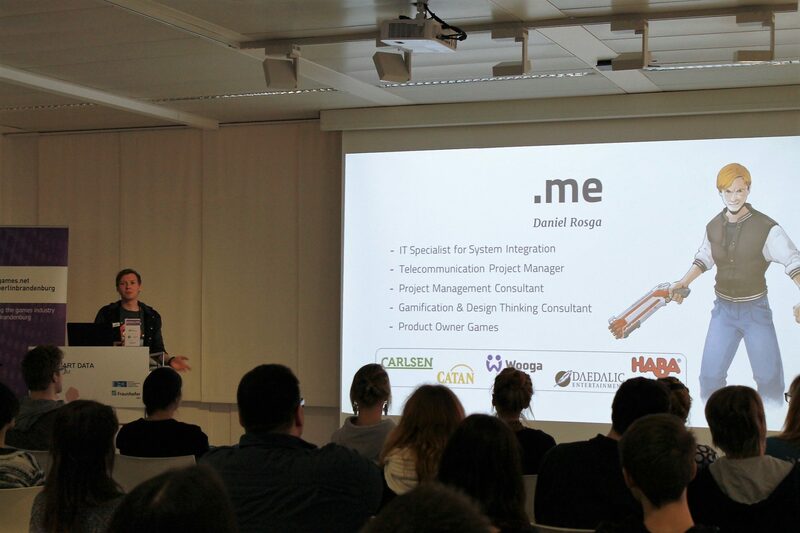 At Data Forum each company presented themselves as well as their projects and job offers in GERMAN and ENGLISH. 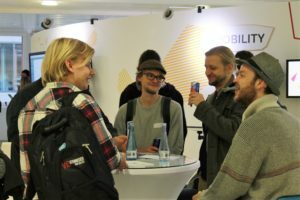 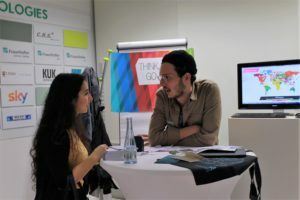 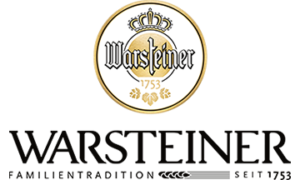 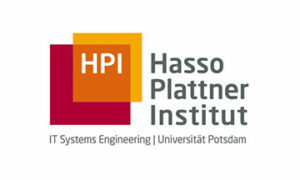 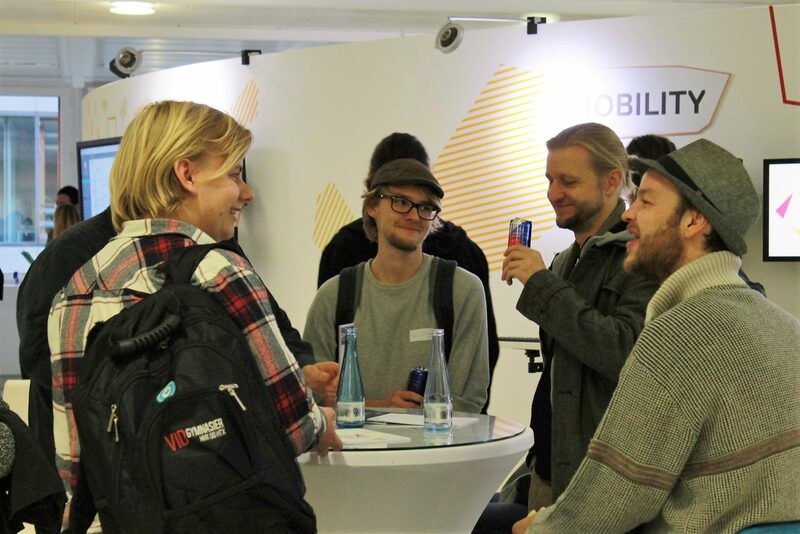 After the presentations all companies and job seekers could introduce each other personally and exchange contacts at 3IT of Fraunhofer HHI while enjoying fresh drinks sponsored by Warsteiner and Red Bull. Check out the video zipstrr made for us here: https://www.facebook.com/games.netbb/videos/1799373996945132/. 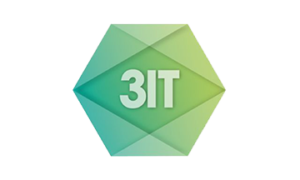 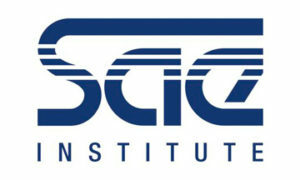 We would like to thank our host, founders and partners of games:net for their support!